Xiaomi often known for its smartphone and its performance. 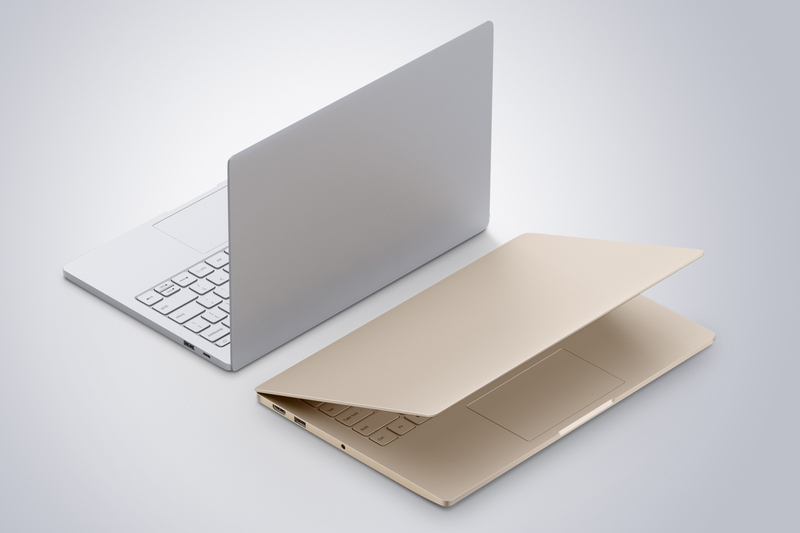 But while ago company launched Xiaomi launched Mi Notebook Air. This move of the company take it to the new threshold. But company is not done with it. Xiaomi Mi Notebook Air is the Windows 10 laptop features an Intel i5 6200U CPU, 8GB of DDR4 RAM, an Nvidia 940MX graphics card and 256GB of storage with a 13.3 inch Full HD screen. The device it self a great product and company still want to improve it. The device is available at around Rs 50,000 in China, which is very low with all these specification comparing to other devices. But company want to update the version of it and its coming out on 23 December. 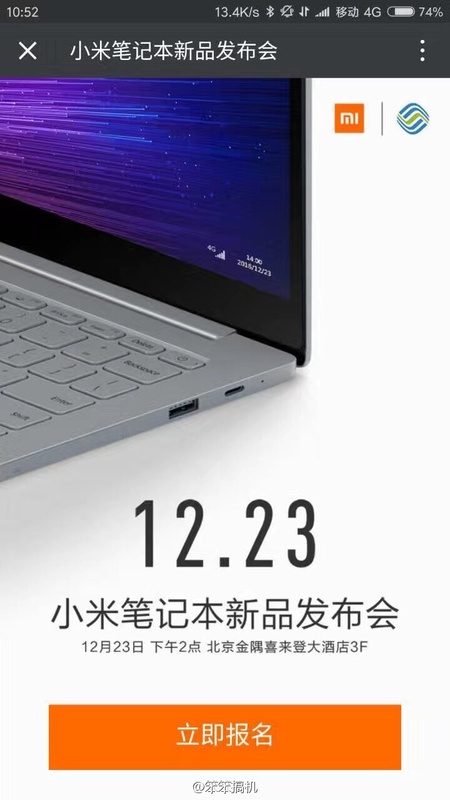 Gizmochina reports that they’ve received an invite to a Mi Notebook Air event scheduled for 23 December. 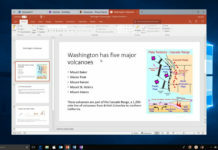 They also mentioned that the invitation to the event shows the right side of a computer similar to the Mi Notebook Air, however this one seems to have a 4G module as there is a 4G network signal in the lower right corner of the screen. This means that Xiaomi Mi Notebook Air updated version will launch with integrated support for 4G SIMs. We also expect that device will launch with Intel’s current seventh-generation Kaby Lake architecture. However we can’t say anything until it officially launched, Stay tune to for more update.